As soon as we landed in Lisbon, we hopped on a bus to ride 3 hours South to the most beautiful Costal town called Lagos. Lagos is a part of Portugal's Algarve region. Even pulling up my heart was skipping beats. Their beaches are unlike anything I have ever experienced before. So stinking' beautiful. I seriously am so excited to share my first half of my Portugal trip. We spent about 4 days in Lagos and then went straight back to Lisbon until I had to head back to America! So here is Lagos through a travelin' lady's eyes. It's about a 10 minute walk from the town center where the bus drops off (STRAIGHT UPHILL PLEASE BE RESPONSIBLE WITH SHOES OKAY?!!!) Sweetest couple owns it who speak little English but they were so kind and I adored our hostel. Couldn't have been happier with it. And we met the coolest people there too, but that's always a given when you pick a hostel over a hotel or air bob. Plus you save LOADS of money too. I still have dreams about the beaches I got to experience in Lagos. LOOK AT THIS MAGIC Y'ALL! A lot of people rent cars and will drive, but in all honesty we just walked. They have trails that run right along the coast where you can get such amazing views straight down into the cliffs. If you are on a budget and don't want to spend money on transportation, walking really was not bad at all. You can beach hop and get to experience them all in a day. Plus when you walk you get to be on the cool dirt trails that run right by the coast which made the experience even cooler. Praia Da Balanca is a MUST. It's probably the hardest beach to get down to due to how many stairs their are and you have to jump the wall to get down into the water. But it is so worth it. This was my favorite beach out of all of them. There is so much green and brown sea glass, I went home with a handful. Make sure if you are in Lagos you make it a point to get your booty down there. I have too many good things to say about the food in Lagos. It's a beach town so of course all you eat is sea food. Before my trip, if I even looked at sea food I would freak out. I spent my childhood in Florida and I haven't been able to stretch my sea food tolerance levels past a kids pop corn shrimp order. But I wanted the full experience of Portugal. So I laid my fears aside and went all out and tried EVERYTHING. I am a changed woman. I love seafood and could eat octopus for the rest of my life I'm pretty dang sure. Praises. Get some octopus for me while you are there okay? Deal. The Garden. If you scroll through this slide show you get a little taste of how stinking ADORABLE it was. By far my favorite little spot to eat and grab a pitcher of sangria in Lagos. It was so photogenic and so yummy. You have gotta go and experience this cuteness overload for yourself. But make sure to go when it's open because it has weird hours and also is extremely busy so you might want to make a reservation too! 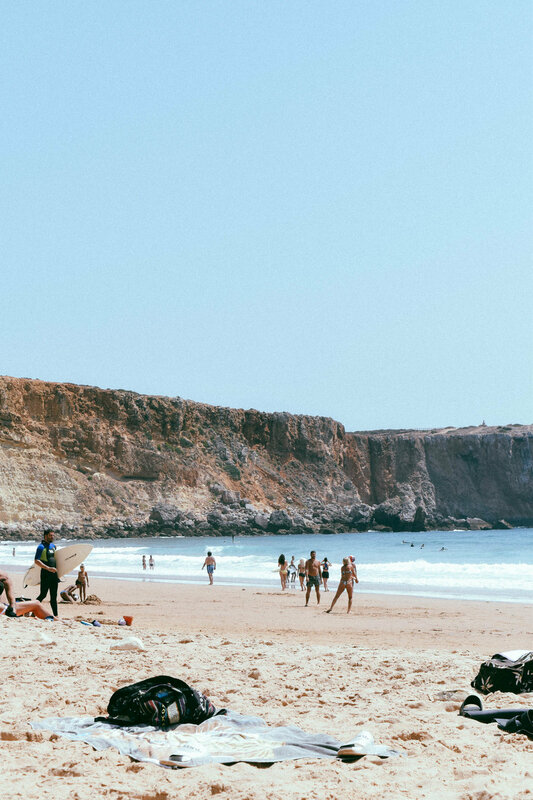 Make sure to take a day trip to Sagres! 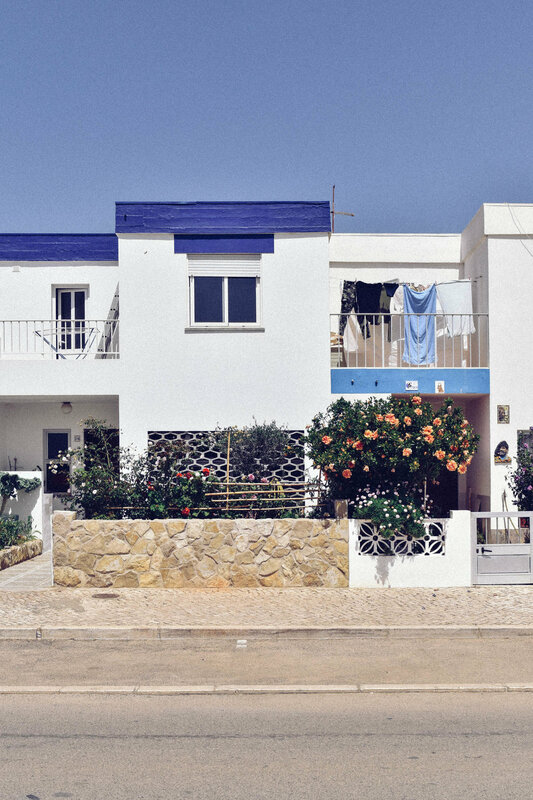 Sagres is the most western point of Europe and it is the sweetest little beach town! We took a bus up straight from the city center and spent the day exploring around. Lagos was good for our hearts and souls. We got tan, filled up on Sangria, and met some of the sweetest people from all over that we had some fun with. I loved Lagos and it holds such a special place in my heart.